A little more than a month ago, I hopped on the Yuli Skincare train with the purchase of a few cult products that I felt my skin just had to experience. While my typical four-week testing period is up, I’m only ready to review Pancea Elixir because 1) I haven’t taken pictures of Pure Mask yet (and this selfie doesn’t count!) and 2) I need a little more time with Cell Perfecto PM because I only got through two weeks of testing before my face exploded with stress-induced breakouts. After four weeks of liberal use of Yuli Skincare’s Panacea Elixir, I’m not quite sold on it as a solution for my acne-prone skin. I’m not sure if Panacea Elixir wasn’t “strong enough” for my powerhouse pimples or if my testing timing was unfortunate (during a month of several active breakouts) or if, simply, my expectations were too high. I’ve read several reviews from people I trust, and even chatted with friends about “when this stuff is supposed to kick in,” yet never experienced any miraculous, skin-clearing results. That may seem like too much to ask (it’s just a toner, right? ), but I’ve had amazing results before with just a toner, so I was wondering if Panacea could top it. From the looks of it, Yuli Skincare’s Panacea Elixir is loaded with acne-fighting good stuff as well as skin-softening ingredients; witch hazel and lavender are known for their skin-clearing properties while rose and cucumber calm the skin. 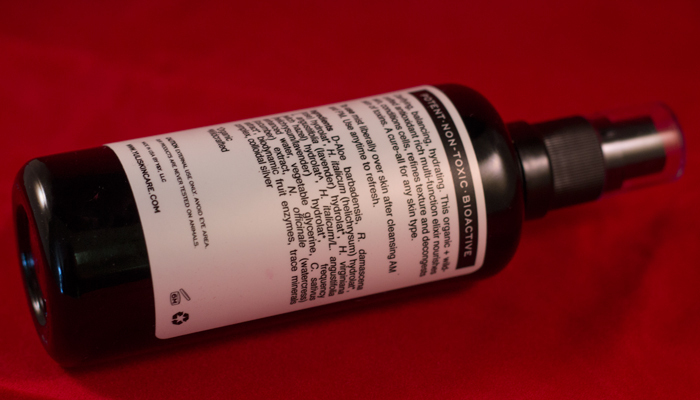 You’ll also notice antibacterial colloidal silver at the end of the ingredients list. When I was working as a green home magazine editor, several personal-care products laced with colloidal silver came across my desk. Back then (2008), I never could find the final verdict on colloidal silver (you gonna turn blue or what? ), and it seems to be popping up in so many more natural beauty products for acne-prone skin lately because of its antibacterial properties. I have no strong opinion on colloidal silver, but definitely welcome the discussion of it from the community! After more than a month of heavy use (I used Panacea Elixir morning and evening, spritzing 4-5 times to really cover my face, pressing it in and sealing it in with a good face oil or my beloved Zum Rub), I haven’t seen a difference in my skin’s texture (and definitely not in breakout prevention). Now that I’m finnaaalllly clearing up, I’m going to finish out my bottle (I probably have about a week’s worth left) and see how my less-broken-out face responds to Panacea. I’ll be sure to report back via social media. UPDATE: The Yuli team was thoughtful enough to send me an email to address some of my musings in this post. They gave me permission to share with you, so please read below! We formulate all of our ingredients after conducting extensive research. Like many other lines you’ve pointed out, we’ve concluded colloidal silver is safe for cosmetic use. There are isolated cases of argyria (blue skin), which have been linked to long term ingestion of a large concentration and quantity of colloidal silver. An extreme over-consumption of anything including salt and water can do quite a bit of damage in this regard. Argyria is not (and has never been) a concern associated with topical application of colloidal silver especially in the concentrations we use in our products. Rather we find the colloidal silver provides wonderful anti-bacterial benefit without irritating skin. Panacea is a top-selling product of ours. It’s wonderful for clarifying, balancing, and hydrating all skin types. As a facial mist, this helps prep, prime, and condition skin, leaving skin softer and healthier over time. Those with blemish prone skin will find the actives help to fortify and refine. With that said, Panacea was not formulated with the intention of being an active acne/blemish targeting product. While the actives as you’ve correctly stated are loaded to help fight acne, Panacea works to improve skin gradually yet remarkably over time and will be especially advantageous to restoring problem skin. I apologize if there was a miscommunication regarding the functionality of Panacea Elixir that left you disappointed. When it comes to facial mists, we don’t believe that creating something strong enough to be an active blemish treatment is conducive to overall and long term skin health for the entire face. Along with Pure Mask, we also have an active blemish serum in the works that will actively target acne and blemishes. We hope you will give those products a try. 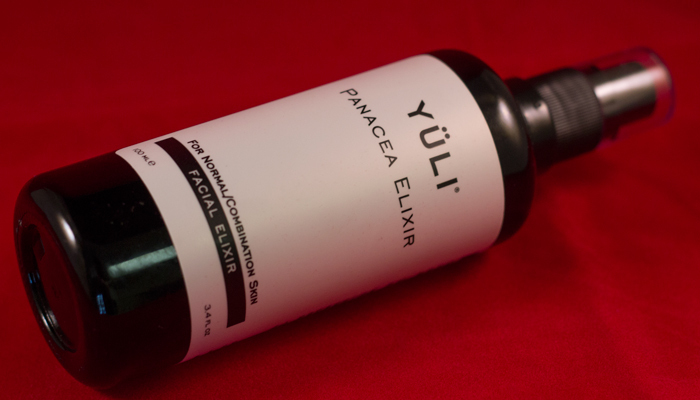 Have you tried Yuli Skincare’s Panacea Elixir? If so, did it work well for you? What Yuli products should I try next? Tell me in the comments section!